The Best iOS Development Podcasts from thousands of iOS Development Podcasts on the web using search and social metrics. Subscribe to these audio podcasts because they are actively working to educate, inspire, and empower their readers with frequent updates and high-quality episodes. iOS Development Podcast newsletter is a comprehensive summary of the day's most important audio podcasts episodes from the best podcasters on the web, and delivered to your email inbox each morning. To subscribe, simply provide us with your email address. Austin & Boston About Podcast Daniel Jalkut and Manton Reece have been Mac developers for a while and it's nice to listen to a podcast with that kind of experience behind it. They rarely interview anyone and mostly just talk about their thoughts on the iOS and Mac ecosystem, often hitting the hot topics of the week. Facebook fans n/a. Twitter followers 1,295. About Podcast Joe Cieplinski and Charles Perry's podcast about the business of independent iOS and MacOS development. They cover "inspiration, design, trends, and tools - everything but the code", and "topics for the new or curious independent developer looking to make his or her way in the iOS and Mac ecosystem". Facebook fans n/a. Twitter followers 992. About Podcast MTJC podcast is a show about mobile development. Each week, Jaime Lopez, Mark Rubin and myself, Tim Mitra, will convene from across the continent to discuss iOS and Mac development. We discuss current issues to find out what developers are talking about, what their apps are about, what they are using to create their apps and what advice they have for other developers (or those looking to become one). We also have news, notes and tech tips for developers. Facebook fans 122. Twitter followers 414. Krakow, Poland About Podcast Swift By Sundell Podcast. An iOS Developer John Sundell about Swift development techniques, frameworks and tips & tricks. To know more on this, subscribe with us. Facebook fans n/a. Twitter followers 18,043. About Podcast The iPhreaks Show podcast is a weekly group discussion about iOS development and related technology by development veterans. We discuss Apple, tools, practices, and code. About Podcast Inside iOS dev is a weekly show about real world iOS development. Your hosts, Alex and Andrew, draw from their experiences ranging from 4 year old legacy codebases, to small startup green field projects, to working on apps at places like Uber & Reddit with millions of active users. They discuss everything from implementing specific features, to creating flexible designs, to utilizing refactoring techniques, and more. This is THE show for professional iOS developers. Facebook fans n/a. Twitter followers 279. About Podcast SharedInstance Podcast is a podcast about iOS Development from three iOS Developers based in Cincinnati, OH. For more updates on this, subscribe with us. UK About Podcast Waiting for Review is a weekly podcast about independent (indie) iOS app development.Whilst we enjoy a good discussion about Swift, Objective-C and the underlying frameworks, we try to draw on our experiences and cover a range of topics that might be pertinent to an iOS app developer. These range from time management, setting up businesses, staying motivated, designing as a programmer, and how the evolution of the Apple ecosystem has the potential to affect our businesses. Facebook fans n/a. Twitter followers 721. About Podcast Constant Variables is a show where we take a non-technical look at iOS and Android app development. We help non-technical co-founders of mobile app products become more comfortable with technical jargon and concepts in order to help them turn their ideas into successful apps. Petaluma, CA, USA About Podcast iOS Dev Break Podcast with 15 minutes of current events, tips, and advice for iOS Developers. Including, but not limited to, discussions of Swift, iOS, watchOS, and tvOS development. 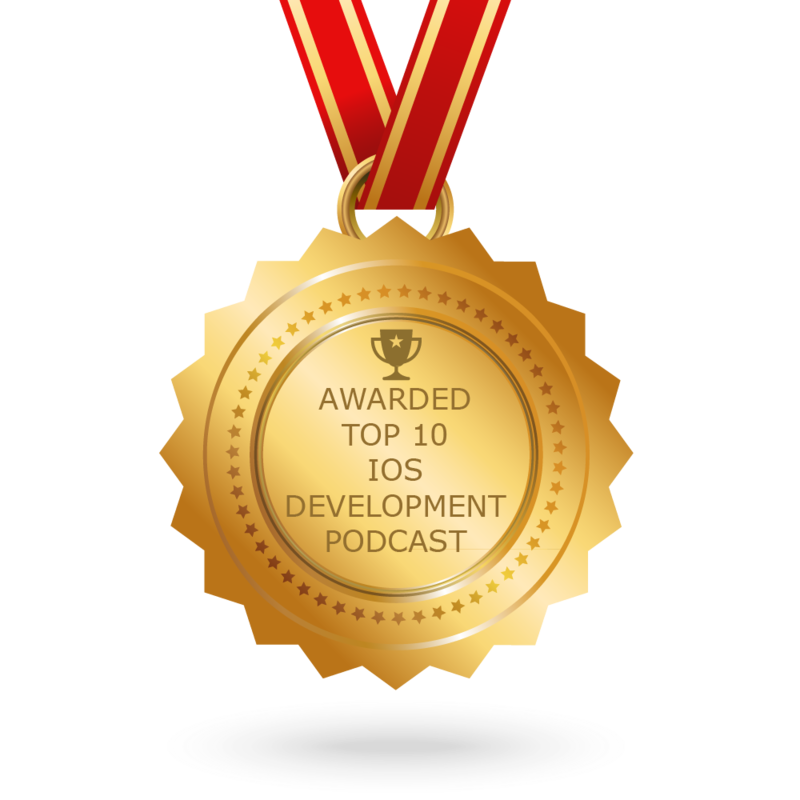 CONGRATULATIONS to every podcast that has made this Top iOS Development Podcasts list! This is the most comprehensive list of best iOS Development Podcasts on the internet and I’m honoured to have you as part of this! I personally give you a high-five and want to thank you for your contribution to this world.